The creation of enormous and inclusive databases, the digitization of literary works, and the steady improvement in search engines enable scholars in the digital humanities to ask very big questions. Using computational analysis to retrieve key words, phrases, and linguistic patterns across thousands of texts in digital libraries, researchers can draw conclusions based on quantifiable evidence regarding how literary trends are employed over time, across periods, within regions, or within demographic groups, as well as how cultural, historical, and societal linkages may bind individual authors, texts, and genres into an aggregate literary culture. 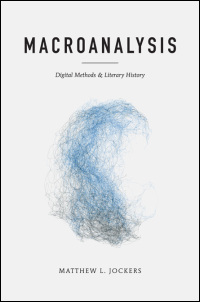 In this volume, Matthew L. Jockers introduces readers to large-scale literary computing and the revolutionary potential of macroanalysis--a new approach to the study of the literary record designed for probing the digital-textual world as it exists today, in digital form and in large quantities. Moving beyond the limitations of literary interpretation based on the "close-reading" of individual works, Jockers describes how this new method of studying large collections of digital material can help us to better understand and contextualize the individual works within those collections.